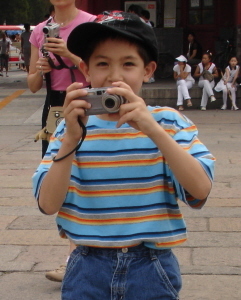 Tips for China Travel with Children? Where to begin... Top of the list is to bring an open mind and the right attitude. 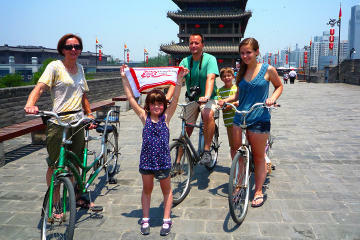 A trip to China with the kids could be a test to your nerves... but also a very rewarding experience. This is an ancient civilization which happens to be growing at warped speed into the 21st century and still clinging to the old traditions and way of life. As you travel from area to area, a sea of contrasts emerges, which is what makes it so fascinating. The old traditional temple adorned with beautiful bright red lanterns nestled among steel and glass sleek structures... the old fisherman on his bamboo raft answering his mobile phone... old rickshaws and high speed trains... modernity and old traditions co-existing side by side. The only constant in China is "change". It might seem challenging at first, perhaps the language seems daunting, or the hordes of people everywhere... at all times. However, you will find the people helpful and hospitable, specially if you are traveling with children. Chinese love children, the more the merrier. But where children are concerned, this isn't precisely a trip to Disneyworld you think, nevermind the long-haul flight, what if they get sick? Is China a safe place? Will the kids like the food? Is pollution really that bad? How about the H7N9 virus? Avian flu? Will they be bored?... Relax... It is doable! Yes, China is safe. Yes, pollution is really THAT bad. Food? there's always fried rice and noodles! Here are some tips to get you over and back with plenty of priceless memories and with your sanity intact! Where to go in China with the Kids? Planning well your itinerary and keeping a light schedule mingled with things the kids will find interesting will win you half the battle. The challenge is not only in the numerous experiences and places to visit but also in the distances among them. Planning your itinerary is crucial so you don't end up in planes and trains during half of your vacation. Learn as much about the different places and what they offer and be selective. 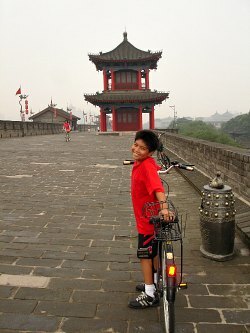 Beijing is full of historical places, but that doesn't mean the kids should be bored. 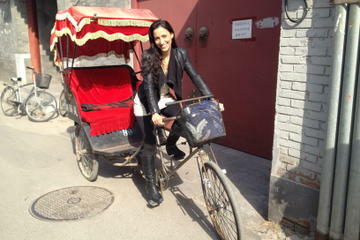 Try a rickshaw ride through the Hutongs and then a dumpling-making session with a local family, for example. Will your toddler remember the Great Wall? Probably not, but will definitely have a blast sliding down the toboggan! 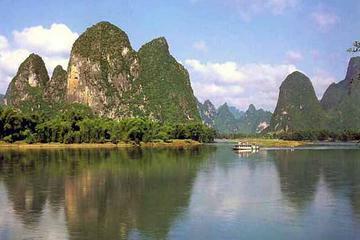 For active families that like the outdoors, try the Guilin/Yangshuo area which is full of opportunities for biking, rafting, even rock-climbing, and is home to some of China's most spectacular mountain scenery. If cuddly pandas are your thing, then head to Chengdu in Sichuan province. And anywhere you go, don't forget the markets! Children of any age loooove markets! 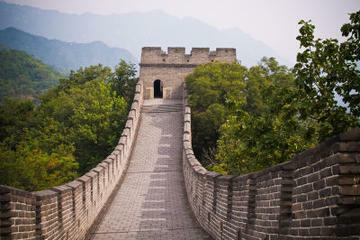 Here's our guide to top destinations in China and kid-friendly things to do at each of them. 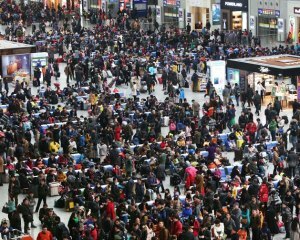 Chinese people love to travel and visit relatives during their holidays. At these times, all means of transportation and main visitor attractions are jammed packed with crowds and so it is better to avoid traveling during these periods. Notice I say avoid traveling during these periods, not avoid being in China during these periods! 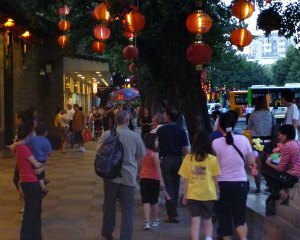 Being in China during one of the major festivals is really a treat, Chinese Festivals are colorful and full of life, a wonderful way to get a sense of this wonderful culture. If you can plan to be there during one of the major festivals, it would definitely add to your experience and something the kids will remember and treasure for years to come. You just don't want to be caught in transit during these periods, and much else, looking for accomodation. Planning ahead is a must during festival time. The main Chinese Holidays are Chinese New Year or the Spring Festival in January or February (based on the Lunar calendar), the May Golden Week holidays on and around May 1st, and Chinese National Day, on October 1st. The dates of the Traditional Chinese Holidays will vary from year to year since they are based on the Lunar Calendar. "Oh mom, not another temple!!!" Putting a camera in their hands could be the solution to this common problem. Instead of looking at "just another temple" they can look for specific things to photograph. How many Lions can you find? Who can photograph the most animals, mythical or real, (phoenixes and dragons count). Tip: a lot of stuff on the roofs... look UP!!! How many cannons did you see at the Great Wall? 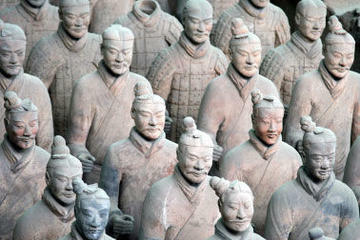 Can you find the "Kneeling Archer" from the Terracotta Army? You get the picture! For some ideas, flip through your guide book to find stuff to photograph ahead of time, or buy a bunch of postcards of the places you will be visiting (they are very inexpensive) Show them the stuff to look for, hand them a camera and off they go! Taking pictures is a great way to get the kids involved and instill a little appreciation for all that "boring history". And who knows... you might end up with some really nice photos for your scrapbook! Digital cameras get cheaper all the time, they get smaller with more features than ever. Check out among a great selection of digital cameras from Amazon. com for under $50. Generally speaking, China is not a dangerous place in terms of crime and personal safety. We never felt threatened in any way. That being said, there is always the occasional pick pocketer here and there and you need to beware in the crowded areas specially where there are a lot of tourists. Now the chaotic traffic poses more of a threat, specially when traveling with small children. Crossing an intersection can become an adventure. Be careful crossing the streets even if you have the "green walk sign" as traffic lights are not always respected. The crowds are sometimes hard to cope and a child could easily get lost in all that congestion specially at public places and major tourist sites. For the really little ones, specially the rambunctious kind, consider getting a kiddy-leash if he/she tends to run. There is a couple of things you should prepare for in case you get separated. We hung an id card from each kid's neck with their data and the name, address and phone number of the hotel where we were currently staying (in English AND Chinese). If that doesn't work (card always getting lost) write down the information with non-washable INK on his/her upper arm under the sleeve. That can't get lost. At the same time, coach the kid on what to say and do if this ever happens, i.e. go to the nearest shop assistant or official-looking person, point at the info just in case they do not understand, etc. 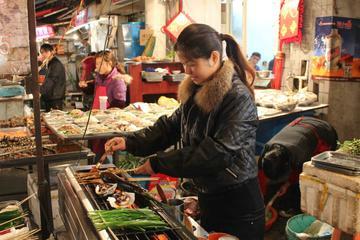 You will also find that the idea of personal space is quite different in China than what you might be used to at home. People tend to get much closer to you, almost what to a Westerner might seem "on your face", this is normal here, they don't mean any disrespect and shouldn't be taken as something threatening. Simply back away a bit. Kids garner a lot of attention, if they look a bit different and specially if you travel away from the bigger cities, get ready to be photographed, pinched, ohhed and ahhed... If this is not to your or your kids liking, (it might get to be too much after a while) smile and signal them to stop whatever is making you uncomfortable. Preferably before you leave home! Chopsticks will be the norm at regular restaurants, some might have forks and knives if you ask for them, mainly in the big cities. 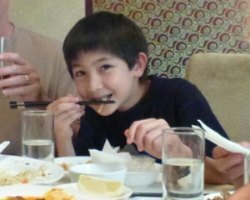 Eating with chopsticks is not difficult, but when learning it might take a little practice to get the hang of it. You can get some cheap disposable chopsticks so the kids can start learning before they leave home. By the time they get to China, they will be all pros and itching to show off their new skill! Here is our guide to learning how to eat with chopsticks. One thing parents with picky eaters worry about is having to stick with a McDonald's diet while in China, but even for the fussiest of kids, you will always find fried noodles, rice and dumplings in the menu which kids always enjoy. What if they get sick? There is of course always a risk, but if you take some basic precautions you can minimize the chance of "getting the runs". Try to avoid salads and uncooked vegetables, stick with fruits you can peel and freshly prepared foods served while still very hot. Should you avoid food stalls? Food that has been sitting for too long, whether at a food stall or a fancy restaurant buffet is to be avoided. A busy stall with food flying literally out the window is probably ok, small restaurants that pass the "people test" i.e. always crowded with waiters running trying to get customers out as soon as possible are a safe bet. Can you drink the water in China? No, you should not drink tap water. Even the smallest of guest houses will have a pot with boiled water or bottled water, drink it and use it to brush your teeth. Remind the kids because they tend to forget. The rapid pace with which China has grown in the past few years has taken its toll on the environment. Air pollution has become a major threat to the population's health and has been highly publicized all over the news lately. If traveling with children, be mindful of the effects the poor air quality might cause. Smaller children might seem fussier than usual or very tired and lethargic. Try to keep a slower pace and stay hydrated. 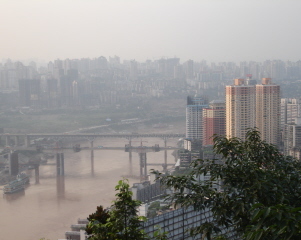 Here are some tips for dealing with Pollution in China. Chances are you will be faced with one of those squat toilets at least once during your travels once you venture outside the five-star and luxury hotel realm. For kids, if totally unexpected, it could be quite upsetting, specially for girls. So best thing is to be prepared and remember, the kids will be watching you. If you act like this is the most normal thing, they won't fuss as much. Always carry toilet paper or tissues with you. The lack of it seems to be the rule rather than the exception in China. Here are some more "Toilet Training" tips that will come handy. It goes without saying that the more you know about China and its culture, the more you will enjoy and appreciate traveling throughout the country. That goes for kids as well. Make a trip to your local library and check out any resources they might have. Ages: 6-8. Not "oficially" a travel guide, but the closest thing we have found. As with the DK Eyewitness Travel Guides, the wonderful photographs, illustrations and stories for this age group, let children find out about China's history, its culture and what day to day life is like now. Here are some more of our favorite children's books about China, that can help prepare the kids for that trip to the Middle Kingdom, or simply to learn more about Chinese culture and life. Here are some more articles and recommendations for different situations you might find helpful which have been contributed by our readers. We hope you enjoy our site and have found it useful. Please come back and tell us all about your trip, we would appreciate hearing your feedback! 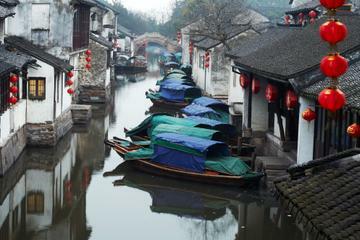 Traveling to remote areas in China? Here's some tips for traveling to off the beaten path destinations with the kids. Traveling to China on Business? Bring the Kids along! : On why kids should come along, a primer on Chinese Business Etiquette, and developing your kids' multicultural attitudes. 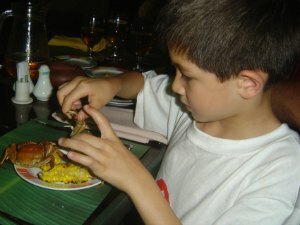 Travel with Children - Plan your China Trip: Why travel with kids? 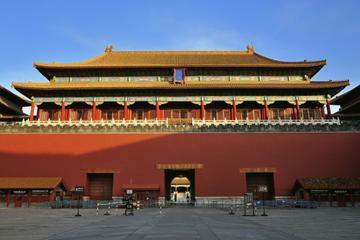 Tips for planning your China trip and make the most of it. Green Travel in China: Green travel, ecoutourism, sustainable travel, reducing our carbon footprint... what does it all mean? What are some ways to teach our children?